Today I'm going to talk about some advanced skills that are required for playing at the highest possible level. Some of these are more vital than others and many take a high degree of skill and dedication to execute correctly and efficiently. If you have the basics down and are wondering what you can work on next, I've made this list just for you. For me the basics include effective and efficient swing mechanics, early racquet preparation, a repeatable swing, control, shot selection, movement along with a moderate to high level of fitness. If you're still working on the basics you can bookmark this post and come back to it when you're ready. I will cover all areas of the game including some specific shots, tactics, sport psychology, training and other various tips. Expand Your Volley Attacking Range: many amateurs get good at hitting a volley from their hip to shoulder height. Try and expand this so you can can the ball in short and attack even when the ball is higher, further or closer to you. Top players have a much larger window where they can attack from off the volley. Learn to Adjust Your Grip: this can be choking up or down on the racquet as well as slightly adjusting the face (open or closed). I was taught never to rotate my grip side to side, which I agree shouldn't be done while learning how to play, but at a very high level it can help you hit the ball flatter when you want to really spank the ball. You can also give your opponent some different looks by trying something tricky. I think moving your grip up and down on the racquet is more important, but I still like exploring different types of shots and swings. Changing Your Swing Path: learning to hit the ball flat or even hit with slight overspin as this can make the ball skip and also die off the back wall faster. 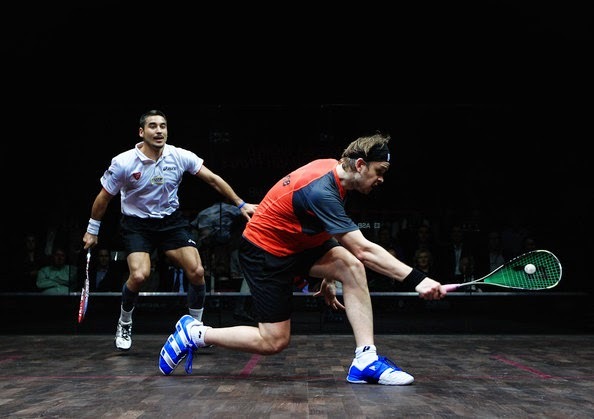 Learning to be more severe with your attacking shots gives your opponent less time to receive the ball. With the lighter racquets and high quality strings a lot more options exist with what you can do with he ball. You should also focus on being able to put a good amount of slice on the ball, especially when you want to take the ball short. The challenge is on the volley when you don't have much time and you have to keep your follow through high to keep the ball above the tin. If you have watched top players hit drops in live you will see that they are excellent at taking the ball short, even with a hot and bouncy ball. Work on Your Lob: most people practice their length and attacking skills a lot more then they do their defensive skills. Ramy Ashour has the best lob in the game and this is why he is rarely under pressure for a number of shots in a row. Ramy will play a lob and look to go on an attack on the very next shot if possible. Work on Your Counter Drop: this shot seems easy, but it is extremely challenging. You're so close to the front wall, but many people are poor at this shot. You are running full speed and while you're decelerating you are trying to play a shot that requires a lot of fines and touch. If you get good at this shot your opponent will have second thoughts about bringing you short and they will likely make more mistakes trying to cut the margins to thin. Improve The Efficiency Of Your Movement: repetition of the proper movement will allow you to move around easier and use less energy. This gets better as you stay further from the ball and closer to the T, but to do this require you to lunge deeper so it takes a number of years to develop the leg and core strength to keep proper space while being able to maintain your balance while swinging with a high velocity. Try and use your follow thru for your drives to assist with you getting your body weight moving back towards the T.
Learn To Hit Open Stance (Especially On The Backhand): many of us play 90%+ of our shots on our dominant leg (right handed player = right leg dominant). Not only does this fatigue our one leg and can cause injury problems down the line, but often it's quicker to just hit off your back leg. 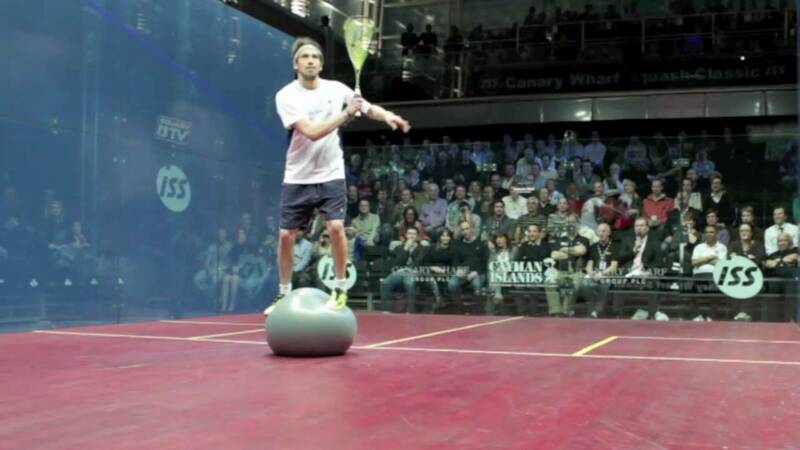 When you watch the top players hit they can hit off either leg from anywhere on the court. The advantage to hitting off your back leg when the ball gets behind you is that you can still see/sense your opponent through your peripheral vision and sometimes you can still crosscourt the ball. If you just turn around and hit it, your back will be facing the back wall meaning it is nearly impossible to go crosscourt, you won't be able to see where you opponent is plus it will be more challenging to keep the ball tight to the side wall. Train and practice with both legs to become more well rounded. Shorten Your Swing: solo hitting helps this a lot. For me hitting with a shorter swing means you are disguise your shot. It is easier to hit deep or short from this shorter compact swing. A shorter set position also means that you are faster to contact once your swing starts. Most amateurs can't do this because they cannot generate enough racquet head speed (and pace). As people improve they are generally good at doing this on the forehand, but have difficulty doing this on the backhand. If you can have a short compact swing and still get power you will cause your opponents all kinds of problems from all over the court. Put Conditions On Yourself In Practice Matches: instead of just going out and playing when you practice against a familiar opponent try and play some new shots. Maybe you need to focus on hitting it deeper, higher, straighter, volley more, etc. Whatever it is you are working on try and have a focus when you play. You need to practice the stuff your working on in math situations before you will likely execute it successfully in competition. Maybe you want to work on your deception or getting on the ball early. Maybe you want to play more lobs or counter drops. If you really want to improve a specific shot play it more in your practice matches. 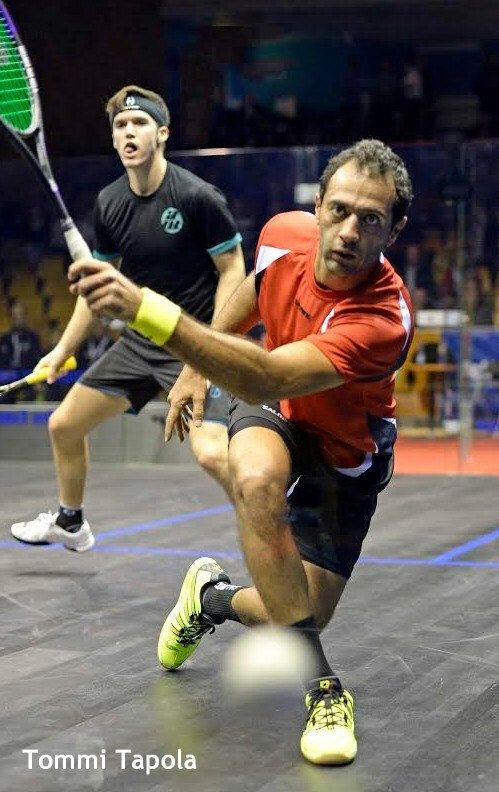 Improve Your Crosscourts: if you've been reading my posts for a while you may recall this one: http://www.serioussquash.com/2014/07/crosscourt-talk.html Many people work so much on their straight drives (and for good reason) but don't know when or how or what a good crosscourt is. A good crosscourt depends on a number of variables (see post link). In summary, an effective crosscourt to most to least: it is unreturned, they have to boast, they can boast or hit straight drive but are under pressure and an ineffective crosscourt is one that they can return back to you crosscourt. The less options they have the more effective your crosscourt was. 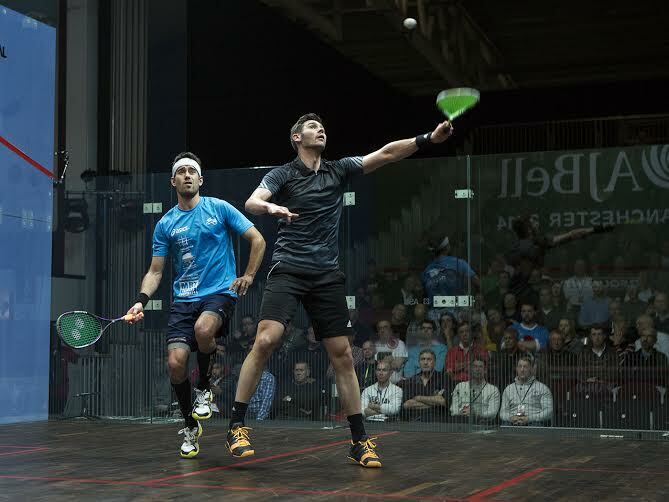 Polish Your Finishing Shots: you have to be able to put the ball away or apply a lot of pressure eon your opponent every chance you get. You have to be able to do this without thinking, it's instinct. To develop great touch you need to constantly work on your short game. Also spend time working on your nicks. Nicks don't happen by accident. Nicks are all about angles. Nicks can be hit with a high level of accuracy if you really work on them. Also as I mentioned above it takes a lot of practice to be able to put a lot of cut on a drop when the ball is hot and bouncy. Watch Video: of top players and yourself. How do you envision yourself playing as you develop and your game matures. Always Have a Plan: I have been guilty of this and find that most people go on court and just play. Even having a simple game plan can be quite effective. Having a plan is a way to help you refocus and gives you something to concentrate on during the match. If you don't know your opponents game go and have a plan to feel them out and play towards your strengths. As you get to know your opponent better you can adapt and adjust your strategy as necessary. Always go in with a plan when you step on court and learn to make notes about your matches. Get To The Ball Early: this will likely tire out many of you when yo'r first trying it, but your body will adjust as your fitness increases. Getting on the ball mean early means you have options, you can hit it right away or delay your shot. This makes life extremely tough on your opponent. Get The Right Team In Place: you can't reach your potential on your own. Find opponents, training partners, coaches, trainers, sport psychologists, phsyiotherapists and so on to keep you motivated and help you achieve your goals. Your environment has a lot to do with your success. Often as coaches we don't like to admit that maybe one of our players is better suited for another program or coach. Sometimes changing a coach isn't even that the coach is better, but about stirring things up and getting a fresh perspective. I know anytime I haven't watched someone play in a month or more I always notice different things as opposed to when I'm working with them on a regular basis. Try Different Serves: I know this seems like a small thing, but even most top players hit the same serve every time. Some opponents will have more difficulty with one serve over another and sometimes you can catch an opponent napping and set up a quick and easy point by varying the type of your serve. Experience: there is no substitute for experience. You need to play a variety of opponents under various conditions (courts, humidity, round of tournament, ref, crowd, ball, etc). I know this is a pretty comprehensive list. Some of the things (like a journal or having a cool down) are simple to implement into your training plan, while others take months or even years of practice to learn and refine. I suggest making a checklist of which areas you would feel improve your game the most; maybe the top 3 to start. Work on these areas and then resist this post later on when you want to add a little something extra to your game. One concern for coaches is overreaching, which is possible if you try and focus on all of the areas above. If you want to be successful in each task you need to dedicate a proper amount of time for each area. I very well could have (and may one day) write a post about each and every subject I've discussed here today. Have fun with this, enjoy the challenge and good luck! 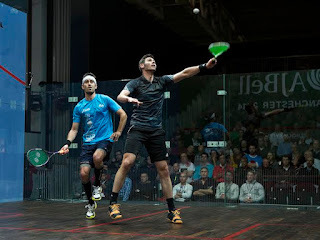 For your advice on hitting open stance, I'm curious for your thoughts on whether it is worth teaching mid level players (getting coaching for the first time, but plays at a ~B level) a closed stance forehand at all, or whether you should start with knowing the open stance forehand. 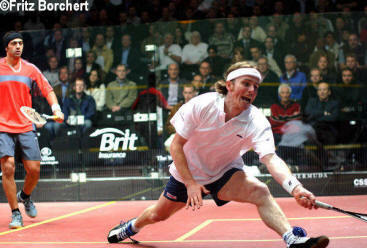 I'm a righty and honestly when I first got coaching and I was told to lunge with my left foot on the forehand side it felt so awkward compared to what i was used to and I never see pro's doing it in matches either. Open vs closed stance backhand i can see the clear advantages of but forehand the difference seems negligible. Edit: I mean I can see the clear tradeoffs/situations where a closed stance or an open stance backhand might be a better shot, but it seems like open stance forehand trumps a closed stance forehand in 95% of all scenarios. It seems weird then that traditional coaching still teaches closed stance forehand as the correct technique. 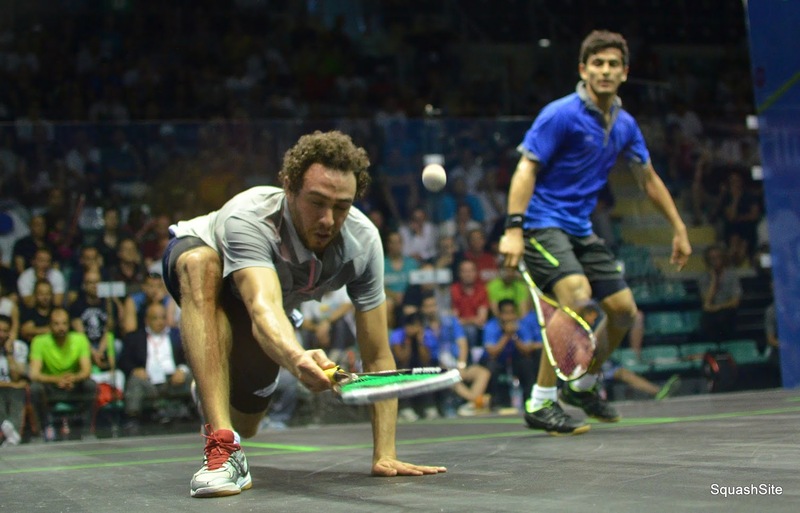 Open stance on the forehand is usually better. The only issue with teaching people to do that initially is that they have difficulty squaring up to the sidewall when they hit of their back foot. So I may have them try some on their front foot to get the feeling of being beside the ball and squaring up properly. 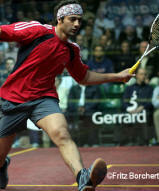 Also, if you are moving forwards to hit a forehand volley I would often use my front leg. It's awkward moving forward more than a few inches to hit the ball open stance. Generally open stance is when the ball is beside or behind you. Another big factor is just being comfortable hitting on both legs. Many people play over every single shot on their dominant leg and this can lead to wear and tear and injury problems down the road. So I do like get people to hit off both legs. But situationally I think open stance on the forehand is most effective unless moving forwards to get the ball. Hope that helps!